For the sake of simplicity I limited the survey to three basic questions. There were 290 responses to the survey, of which about 40 were from festivals where no submissions fees are charged, which skewed things a little bit. While this may not be the most scientific survey ever conducted, there are some interesting numbers here and a lot of great quotes from festival directors. Below I've published a few comments without attribution; I'll work on getting confirmation from those folks whose quotes I'd like to use in the final article. Question 1: Over the course of your open call for entries, about how many fee waivers total do you issue? 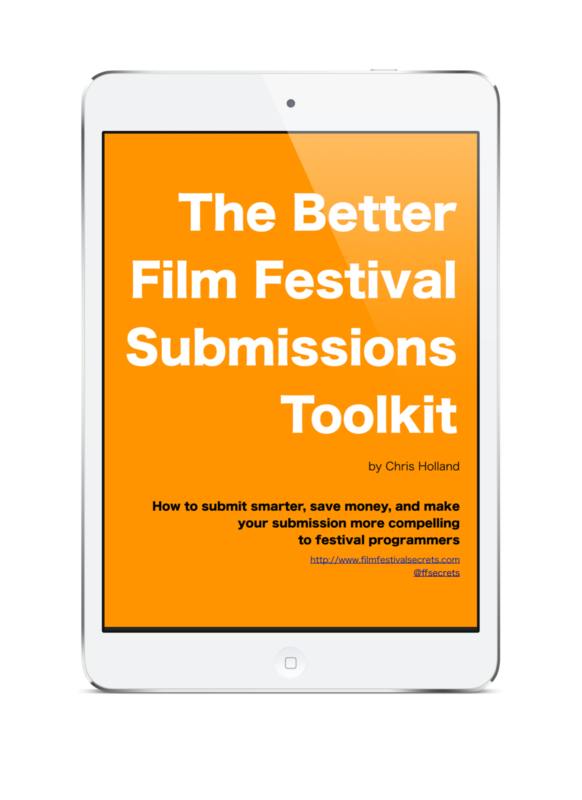 More than half of the festivals said that they grant fewer than 20 waivers for their entire call for entries. That was a lot lower than I expected, actually -- my experience has been that large festivals get a lot of valid requests and so grant more than 20, and that smaller festivals seem more eager to grant waivers just to get access to more films. I was expecting most festivals to say that they issue somewhere between 20 and 50 fee waivers. These numbers tell a different story. Overall, respondents describe themselves as being conservative with filmmakers who ask to submit for free. Perhaps these survey respondents were putting on a tough face for other filmmakers who might come across these results, or maybe my anecdotal evidence is way off. The numbers from there split pretty evenly, with 13% giving out no waivers, 15% issuing between 20 and 50 waivers, and 11% issuing between 51 and 100. Unsurprisingly, a very small number (5%) of responding fests report giving away more than 100 waivers. Question 2 (multiple choice): For which of the following reasons do you typically grant a fee waiver for submission to your festival? As you can see, "alumni" waivers (given to filmmakers who have played at that event before) are far and away the #1 reason waivers are issued. This is a typical practice and to my mind it should be a standard at festivals. Why wouldn't you want to support an artist whose work you discovered? This doesn't mean that every alum comes back to play those festivals with their later work, but the courtesy of a waiver seems like a small thing. The second most popular reason reported for extending a fee waiver was that the film was personally recommended by a friend or colleague. Yes, it does matter who you know -- or rather, who knows you and/or your work. Word of mouth is a powerful thing. In third came content with high potential for a good audience fit (mostly reported by niche festivals), followed, suprisingly, by "compellingly written" requests. I added this option because I know that sometimes I've read fee waiver requests from out of the blue that were so good that I just wanted to see the movie, but I didn't expect this factor to have more weight than local filmmaking (which came in 5th). The reasons after that get into the noise but I did find #4 a bit of a surprise. If you can pitch well in an email, you can apparently save a bit of dough on festival submissions. Of course your film has to deliver on your email's promises, but I suppose rejection from a fest that waived the fee might sting a little less. Question #3: If you were to contribute one quote, opinion, or bit of advice for filmmakers to this article, what would it be? This was the only free-form qualitative question in the survey. It clearly split the respondents into two camps: those who look upon fee waiver requests with some tolerance even as they decline most of them, and those to whom such requests are borderline offensive. Here are some of the more interesting (to me) quotes that came in, which I won't attribute to protect the innocent. "A vital partnership exists between film festivals and filmmakers. Film festivals, above all, should serve its community quality films. I can't think of a better way to do this than continued support of our alumni; and to this end, waiving an entry for a prior participant of the festival seems like normal business." "What do you and your movie offer to help promote our festival if we program it? It is astounding how many filmmakers cannot answer these questions." "I don't think that any festival would hold a fee waiver [request] against a filmmaker, and if a festival DID hold it against you then that isn't a festival that any filmmaker should ever want to be a part of." "The most frustrating requests are from individuals that clearly did not research our festival before requesting a waiver. At our festival we have one requirement to submit and more often than not, the requests that I get are from filmmakers that do not meet that requirement." "A pet peeve of mine: addressing a waiver request email "Dear Sirs". (Believe it or not, women work at festivals too...) "
"Our film festival focuses on social issues, and we value content and access above all else. If someone takes the time to ask for a waiver in a thoughtful way, nine times out of ten I am probably going to grant it to them." "Send ME an email, not a mass email to "undisclosed recipients" and state your reasons, *nicely. * And while I am swayed by "We used up all our money making this film," I hear that from everybody. If you have a better reason, please give it." "A guaranteed way for a filmmaker NOT to receive a fee waiver is submitting a film, not paying the fee, and then only asking for a waiver after the festival contacts you to find out why you didn't pay the fee." "We rarely grant fee waivers now, because we found that most filmmakers that were granted waivers didn't even show up to support their film. Not sure why. Maybe if filmmakers get something for free, they don't attach much value to it. " "Would you ask your doctor, dentist or grocer for a fee waiver?" If you’re not on my mailing list, you can join here.